As Halloween approaches, both Cael and Graham are getting more and more antsy to don their costumes and troll the streets for candy. And as much as I want them to have fun, the bucket of candy from last Halloween/Christmas/Valentine's Day/Easter/parades/birthdays (plus the bag we bought to hand out to kids)puts a damper on my personal excitement. 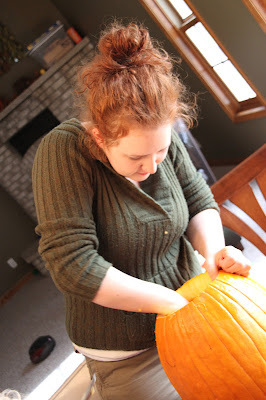 Since I won't allow them to wear their costumes before the big day, mainly because I don't want them to get stained, torn, used as parachutes or as tarps for yard waste, they have turned to pumpkin carving as an outlet for their Halloween-related energy. Everyday I hear about what they want to carve and how they plan to carefully excise the pieces of pumpkin flesh to reveal its inner potential. "What do you want to carve, Cael?" "I want to carve a picture of Graham putting marker on the computer keyboard." "Seriously? I don't really want to remember that moment. 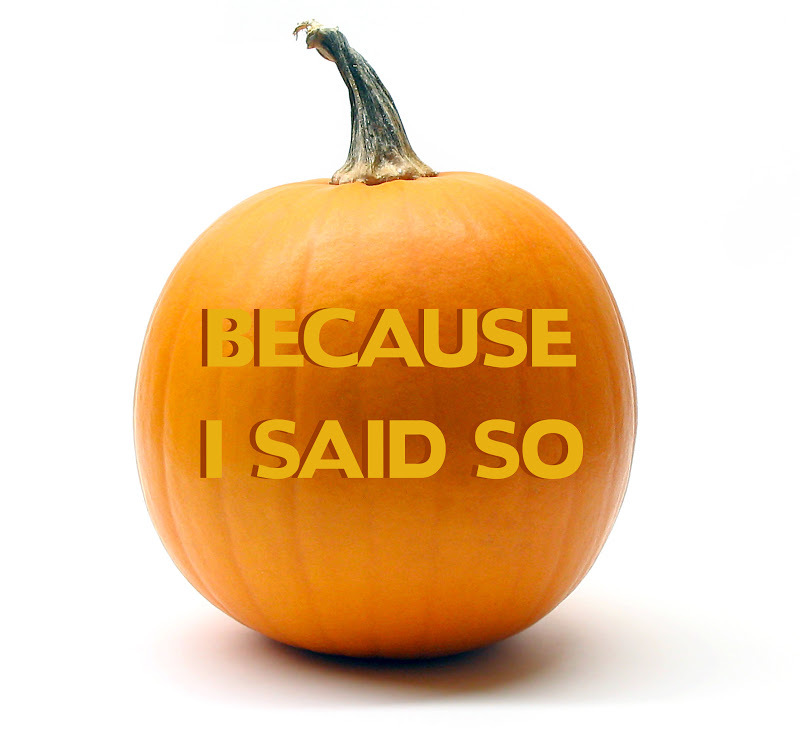 Plus, it would be almost impossible to put on a pumpkin." "What do you want to carve, Graham?" "I want to make a picture of Cael pushing me." "Oh, that wouldn't make a very happy pumpkin." 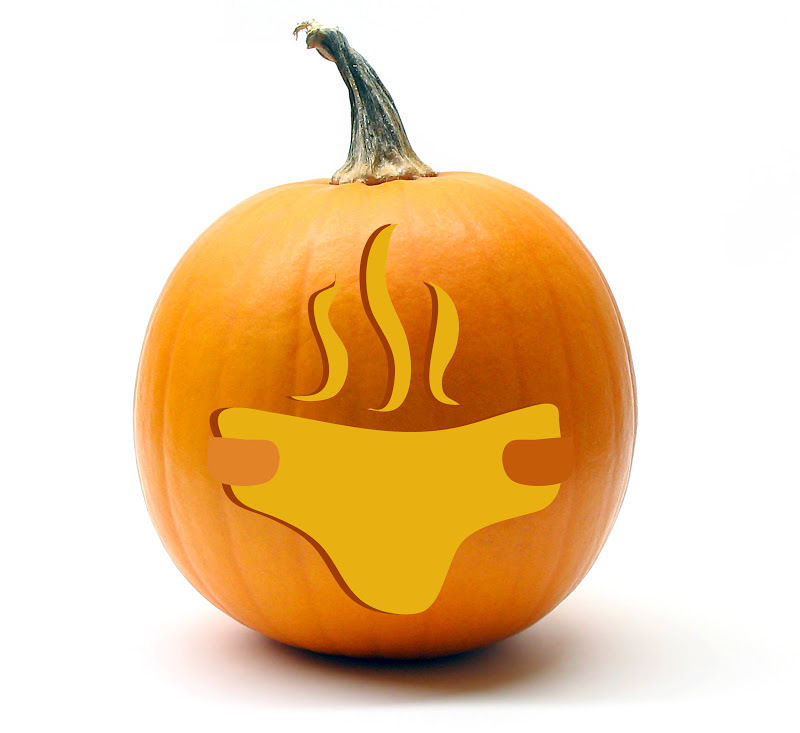 For all of their enthusiasm, their jack-o-lantern concepts lacked any real imagination. It seemed like any and all ideas they came up with simply mimicked real life, and negative ones at that. I took another approach. "Do you think we should make one that has a face?" "Should it be scary, or surprised?" Even though they were both pretty adamant about their potential pumpkins, I'm certainly not going to carve a scene in which my eldest is assaulting his brother. It may be up to me to come up with a new plan, and taking a page from their play book, I decided to let realism be the theme this year. Always the type-A personality, I thought it would be a smart idea to create a mock-up of my jack-o-lanterns to use as an example when it's time to carve. And if I do say so myself, I think they are a stunning and realistic representation of my life. Forget the trick, that's a real treat. Your words and pictures are sure to bring a smile. Thank you!